Protecting private lands that provide significant natural resource or cultural values is often a capstone objective for landowners, managers, and conservationists. The continued viability of agriculture on the Western Slope has been the subject of many conversations this year with the drought, the booming population of Colorado and changing priorities of Colorado's citizens. The Trust for Public Land has created the Conservation Almanac, which is a great resource for understanding the context of the conservation and conservation finance movements. Here you can see how much land has been protected in your state, which state and federal agencies have protected the land, the ratio of money spent to land conserved, and policies and programs that could help your state reach its conservation objectives. A simple example illustrates how a conservation easement works in practice. Let’s assume pressure from buyers building vacation homes has pushed the value of land up in recent years to the point where the family is concerned about how the next generation will pay the estate tax bill without selling the land. The preservation of land for working rural landscapes, wildlife habitat, urban parks, recreational trails, and protecting water supplies and floodplains is emerging as an integral component of smart growth programs. How does one go about donating or selling a conservation easement.? There is no one right way to go about it. However, the following outline shows the most common steps to the process. Thomas Daniels and John Keene's new book breaks down the legal principles, federal and state requirements, and the legal issues that affect agricultural land preservation efforts. Find an LCC here. The 22 LCCs collectively form a network of resource managers and scientists who share a common need for scientific information and interest in conservation. Each LCC brings together federal, state, and local governments along with Tribes and First Nations, non-governmental organizations, universities, and interested public and private organizations. Our partners work collaboratively to identify best practices, connect efforts, identify science gaps, and avoid duplication through conservation planning and design. Managing the landscapes that provide our natural and cultural resources has become increasingly challenging. With the signing of Secretarial Order No. 3289, the Department of the Interior launched the Landscape Conservation Cooperatives (LCCs) to better integrate science and management to address climate change and other landscape scale issues. By building a network that is holistic, collaborative, adaptive, and grounded in science, LCCs are working to ensure the sustainability of our economy, land, water, wildlife, and cultural resources. One tool for estate planners is the conservation easement, by which a landowner voluntarily restricts his or her land from being developed, restricts the amount of development or protects existing features, like a building facade with historic value. Conservation Easements - How Flexible Is Too Flexible? To help you, the landowner, select a properly qualified real estate appraiser, the Division of Real Estate offers several questions you may want to ask any appraiser before making the decision to retain her, or him. Our common ground and collective impact. First established by state statute in 1976, a conservation easement is a voluntary, legally binding restriction, enforced by a non-profit organization of governmental entity, that limits certain uses and prevents future development of a property. The Colorado Conservation Tax Credit is a unique tool by which landowners can preserve their land for generations to come. The Colorado Conservation Tax Credit (Credit) is a state income tax credit of up to $375,000 available to a landowner who elects to place a conservation easement on his or her land. Land stewards can use conservation easements to help manage the future. Conservation easements can be created to protect different natural assets ranging from endangered species and water sources to productive, open space and agricultural land. Ranching as a Conservation Strategy - Can Old Ranchers Save the New West? The Act enables durable restrictions and affirmative obligations to be attached to real property to protect natural and historic resources. The paper explains many of the common legal tools used by families to manage and/or transfer family lands, and gives a very good overview of the expectations and considerations families will face throughout the process. 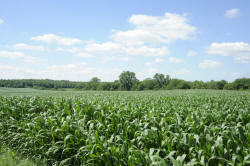 A landowner recently asked us: What is the best way to ensure that the land I donate is not sold? We put the question to the land trust community and it generated quite a bit of activity on the land trust listserv. There are several kinds of tax benefits available to donors of land or conservation easements. This article attempts to summarize these benefits and provide some examples of how they work. Land trusts are non-profit organizations directly involved in the permanent protection of land and its resources for the public benefit. A trust may operate on a local, state, regional, or national level. The bundle of rights theory maintains that ownership of a parcel of real estate may embrace a great many rights, such as the right to its occupancy and use; the right to sell it in whole or in part; the right to bequeath; the right to transfer by contract for specified periods of time, the benefits to be derived by occupancy and use of the real estate. Certain individuals who own land with significant conservation value, for example landowners of wildlife habitat or open space, can preserve the character of their land, obtain additional property, and defer taxes on the transaction, all at the same time. Through Working Lands for Wildlife —a voluntary, incentive-based effort—the Natural Resources Conservation Service (NRCS) and its conservation partners will provide landowners with technical and financial assistance to: Restore populations of declining wildlife species. NextGen Conservation - Peninsula Open Space Trust engages Millennials in its mission. The 80 million-plus Millennials in the United States represent the next generation of potential land trust supporters and advocates. Many rural communities are facing challenges, including rapid growth at metropolitan edges, declining rural populations, and loss of working lands. Private land conservation initiatives are a critical component of any state-level quality of life agenda. Although concerns over sprawl, including the loss of prime agricultural lands and significant green space, continue to be one of the underlying rallying cries in support of state-level smart growth initiatives, the fact remains that with few exceptions, conservation of privately-owned working lands has not received significant attention in smart growth literature or conferences. Bosque Canyon Ranch, L.P. located in the hill country of Texas was just denied $15.9 million of deductions claimed by partnerships for the donation of conservation easements on two grounds in a tax court decision. Take a quick quiz and test your knowledge on conservation easements and learn if they can work for you. The CE Paragraph Databank is a work in progress assembled by the Stanford Conservation and Climate Change Drafting Committee and a number of CE professionals assisting in the work. It may come as a shock, but there is a sort of symbiotic relationship at work between property owners with conservation easements and the IRS. This publication is intended to provide basic information on conservation easements for landowners, community leaders, students and other interested individuals. Conservation easements have garnered significant attention and gained popularity over the last few years due in part to the availability of federal tax deductions and Virginia state tax credits associated with conservation easements. Practically no one had heard of conservation easements 15 years ago when Charleston native Herbert J. Butler began trying to protect his hundreds of acres of former rice fields. “In wildness is the preservation of the world.” Quoted from an essay by Thoreau lamenting the way in which modern urban life has made natural resources into commodities and isolated people from the natural processes on which their lives depended. Clearly, the motivation for a land conservation transaction is often the desire of the landowner to safeguard the property. However, this objective must be balanced with the need to maximize the return to the landowner. J.S. Lengel & Associates, Inc.
Tom Rainville, Esq. and Jackson Petito, Esq. Landscape corridors are among the most important conservation strategies in the face of global changes such as habitat fragmentation, habitat destruction, and climate change. We aim to bridge the science and practice of conservation corridors. Conservation Corridor will provide up-to-date findings from science that will inform applied conservation. And, we will highlight new innovations in applied conservation, with the goal of guiding the direction of applied science toward management needs. Click Here. This document provides guidance on the establishment, use, and operation of conservation banks for the purpose of providing a tool for offset mitigating adverse impacts to species listed as threatened or endangered under the Endangered Species Act of 1973, as amended. This fact sheet was published by the U.S. Fish and Wildlife Service in August 2012 is a two page primer on conservation banking with some history and information on how these banks are working today to promote species conservation and help mitigate habitat loss. Conservation-easement reforms clear Colorado House on bipartisan vote coloradopolitics.com The winds of change may finally be blowing in the direction of Coloradans who say they lost hundreds of thousands of dollars and clear title to their lands in the. Natural Resources Conservation Services accepting applications conservation easement programs Rio Blanco Herald Times RBC | The Natural Resources Conservation *Service* (NRCS) in Colorado is currently accepting applications for enrollment into the Agriculture Conservation. Hands for Lands schedules four additional ditch volunteer work days The Ark Valley Voice The Central Colorado Conservancy's Hands For Lands volunteer work team is continuing to help landowners clear ditches in preparation for the irrigation. Colo. Tax Agency Clarifies Conservation Easement Credit Law360 The Colorado Department of Revenue has adopted rulemaking that clarifies the requirements and procedures of claiming the conservation easement credit. Can Colorado Fund Free Full-day Kindergarten? Julesburg Advocate The Joint Budget Committee recently held a first-ever opportunity for the public to weigh in on how they think the state should prioritize its budget. Central Colorado Conservancy to host free educational winter hiking excursions The Ark Valley Voice Two free, guided hikes are planned by the the Central Colorado Conservancy to help Chaffee County residents learn about winter wildlife in the Rocky. Natural Grocers adding store in Woodland Park west of Colorado Springs Colorado Springs Gazette Natural Grocers specializes in organics, natural foods and health-conscious items, while Woodland Park is a mountain community known for its active lifestyle. Colorado House District 59 candidate Q&A The Denver Post The Colorado House District 59 race features Democrat Barbara McLachlan and independent Paul Jones. Judge rejects suit to remove Gunnison sage grouse protection The Journal A federal judge has rejected a Colorado lawsuit to remove the Gunnison sage grouse from Endangered Species Act protection. Policy Changes Could Clear the Way for Solar in a Colorado County Government Technology The Boulder County Planning Commission is considering amendments to its land use codes that would create new opportunities for solar installations. Preserving the prairie: Colorado Open Lands targets Weld for conservation easements due to three pressures the county faces to keeping the land the way it is now Greeley Tribune Bruce Sikich didn't like it when his boss put the land they cared for in the hands of Colorado Open Lands.Sikich went to school with Clyde Abbett's son. Sikich. Conservation easement conundrums High Country News New York transplant Erin Toll helps Colorado crack down on conservation easement abuses. Effort to develop Colorado-run health insurance option heads to Gov. Polis' desk The Colorado Sun Colorado's House has sent to the governor a bill to develop a state-run health insurance option. Horseshoe Bend, Sassafras Mountain, trouble in Waikiki: News from around our 50 states USA TODAY Stolen dog found in Colorado makes way home to Florida two years later, astronaut from Maine gearing up for first space stint, and more B9336338703Z.1. Effort to legalize sports betting passes House Finance Committee FOX 31 Denver DENVER -- A new bill introduced to the Colorado House this week which would legalize sports gambling at casinos passed the House Committee Monday. New oil and gas advocacy group Rio Blanco Herald Times RBC | Natural gas resources in the Piceance and Uintah basins of Colorado and Utah could help regional and global communities thrive economically and. Guidestone Colorado to host AgriSummit | Community Mountain Mail Newspaper Guidestone Colorado will host the fourth annual AgriSummit Thursday and Friday in and around the Salida area. Colorado Decision Support Systems Website for Managing State's Water Resources Wins 2018 Horizon Interactive Award Business Wire The Department of Natural Resources' Colorado's Decision Support Systems website received a Bronze awarded in the Horizon Interactive Awards. Consumer Energy Alliance Announces New Report on Impacts of Increased Production and Infrastructure in Colorado and Utah's Piceance and Uinta Basins Associated Press Press release *content* from Business Wire. The AP news staff was not involved in its creation. Colorado considers adding social cost of carbon to resource planning decisions Energy News Network Gov. Jared Polis' proposal could make new fossil fuel plants less attractive while speeding up the closure of existing ones. The Lookout: Colorado River compact gains support, oil and gas bill debate reveals personal stories, $106 million for roads and more Colorado headlines Colorado Public Radio All the details fit for email, each weekday from CPR News. Colorado's record-setting oil industry will never be the same. The question is how it will adapt. Denver Business Journal Over the next few years, the uncertainty in Colorado will be heightened. Averting a looming crisis on the Colorado River Environmental Defense Fund DCP agreement is building a more secure future for Colorado River states. Local elected officials decry, welcome bill overhauling regulation of Colorado’s oil and gas industry The Denver Post Opponents of a bill that would overhaul how oil and gas are regulated in Colorado charge that the legislation is being rushed through the legislature. Colorado's oil and gas overhaul bill passes state senate, moves to House Seeking Alpha Colorado's proposed oil and gas overhaul bill, which would change the way the state issues drilling permits, has passed the state senate and moves to the H.
The Latest: Colorado drilling rule changes get initial OK Fox Business The Latest on an oil and gas project in a suburban Denver neighborhood (all times local): 9:50 p.m..
A new battle over oil and gas drilling just broke out in Colorado CNBC Colorado drillers gear up for a fight as state Democrats introduce "the most meaningful changes" to oil and gas regulations in 60 years. Meet Kate Greenberg, Colorado’s New Commissioner of Agriculture Civil Eats Kate Greenberg is the first woman to be appointed to the position, and she brings a *fresh* focus to the office. Polis promotes electric, zero-emissions vehicles in Colorado Colorado Springs Gazette Colorado Gov. Jared Polis on Thursday issued an executive order aimed at putting more electric and zero-emission vehicles on the state's roads. PARCHED: Climate change and growth pushing CO toward a water crisis The Colorado Independent Colorado Gov. John Hickenlooper's water plan has been big on talk, but short on action. He'll leave the toughest decisions to his successor.